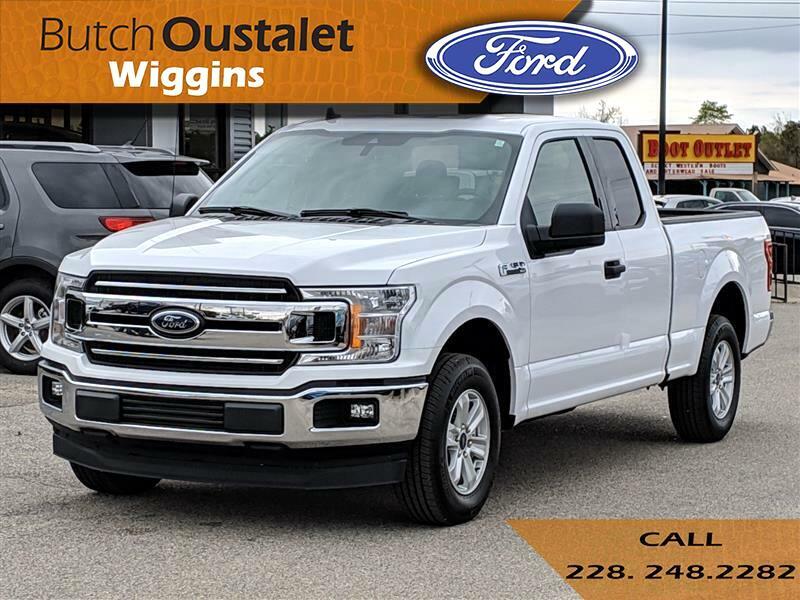 New 2019 Ford F-150 XLT for Sale in Wiggins MS 39577 Butch Oustalet INC. The 2019 Ford F-150 is the meaning of tough redefined. Doing something the right way often results in multiple benefits. Case in point: going from steel to high-strength, military-grade, aluminum alloys in the F-150 cab and bed. Hardening aluminum alloy through heat-treating produces greater strength. Working with aluminum alloy also allows engineers to increase gauge where needed to achieve extra strength without increasing weight. Shifting into four-wheel drive is as easy as turning a dial with the electronic shift-on-the-fly system, which lets you choose two 4-wheel-drive modes as well as 2-wheel drive. There are six engine choices, naturally aspirated and turbocharged, including the new 3.0L Power Stroke V6 Turbo Diesel and the awesome high-output 3.5L EcoBoost. All engines feature auto start-stop technology and five of the six engines feature 10-speed automatic transmission. The F-150 can be equipped to smooth out the toughest of workdays and make every job as productive as possible. Choose from the many features available, including Pro Trailer Backup Assist, integrated tailgate step and remote tailgate release, as well as deployable box side steps. The F-150 can tow more than ever before provides lots of places to store the assortment of things you carry inside the cab. You’ll also find plenty of space to stow items in the door-trim panel bins and under-seat rear storage area. The F-150 offers a range of convenient features to staying connected on the road, including an 8-inch LCD productivity screen, SYNC Connect, FordPass app access, remote tailgate release, 360-degree camera with split-view display, blind spot information system with cross-traffic alert and trailer coverage, pre-lane collision assist, lane keeping system and adaptive cruise control with stop-and-go.